Thousands of us get the flu every year, but with an effective oral treatment from UKMedix you can suppress the symptoms quickly and get back to life. The symptoms of the flu, or influenza, are similar to those of the common cold, but when you get the flu it really knocks you off your feet and it can take some time to shake it off, the cough and fatigue sometimes take weeks to recover from. In severe cases it can kill, or lead to other complications, especially in the elderly or those with health problems, which is why people in at risk groups are encouraged to have a flu jab. The jab is formulated each year to be effective against the flu strains considered to be most likely to affect us in the coming year. Feel Better Faster With Tamiflu - Order Today Get Tomorrow! The symptoms should peak within a few days, but then linger for some time. How do you catch the flu? The flu is a virus and is spread by people coughing or sneezing. The tiny droplets they expel can hang in the air for some time, and if inhaled are likely to pass the virus on. The virus can also be picked up from surfaces by touch, such as the telephone, door handles or keyboards. This is why the government invests in communicating the message to wash our hands regularly. The flu affects the respiratory system and spreads quickly from one cell to the next. Treatments from UKMedix can help inhibit the spread of the virus through the body quickly and effectively. If you are generally in good health you should stay at home, resting and keeping warm, drinking plenty of fluids. The symptoms should peak within a few days, though you are likely to feel quite poorly for a week, or sometimes several. Unfortunately antibiotics are not effective against viral infections and will only be prescribed when the flu leads to other complications. Rest is important, and you can speed your recovery with a prescription of Tamiflu from UKMedix. Tamiflu needs to be taken with 2 days of the initial symptoms appearing. The liquid or capsules of Tamiflu can reduce the duration of your symptoms by several days. It is also effective in reducing complications such as pneumonia. UKMedix's specialists can also prescribe Relenza. Relenza is a dry powder taken through an inhaler that should also be used within 2 days of the symptoms starting. It is not recommended for children under 5 or those with respiratory problems. Tamiflu and Relenza suppress the flu virus and inhibit its spread, this enables you body to fight the virus more quickly, thus speeding your recovery and enabling you to get on with your life. Tamiflu can also protect you from catching the virus from someone close to you who may have already been infected. 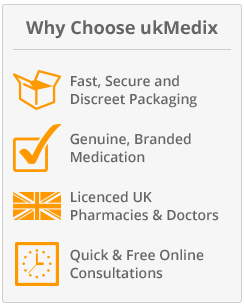 You can order Tamiflu online from UKMedix following a consultation with one of our specialists, it will be dispatched immediately and enable you to fight your symptoms without having to wait to visit your doctor. Are there different types of flu? Flu is graded in types - A, B and C. Different strains of flu emerge over time and recently type A flu has included the H1N1 virus more commonly known as swine flu, also there has been bird, or avian flu. Type A carries severe symptoms and require immediate treatment. Type B is similar to type A, but less severe, treatment can speed recovery from type B as well. While type C tends to be more like a common cold and rarely requires treatment. The annual flu jab is formulated to combat those strains expected over a coming period. 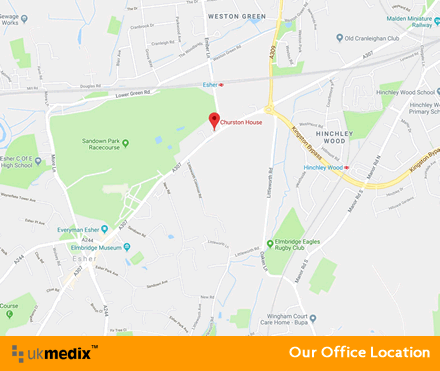 Complete your fast online consultation with UKMedix and our specialists will prescribe Tamiflu or Relenza as appropriate and your treatment will be dispatched and on its way to you. Act quickly as you need to treat the symptoms with two days of their first appearance.